Trina Miller and husband Dan Johnson working on the shop at their home in Galax. Retired couple Trina Miller and her husband Dan Johnson from Galax in southwestern Virginia have bonded over a high energy hobby that they do together. The hobby is turning trash into treasure. It happens in the couple’s shop, which they completed recently. Together, they find old building materials and turn them into useful home renovations using power tools. And their shop electric bill will be reduced by solar panels installed installed in their yard. That makes this already eco-friendly hobby even greener. So Trina and Dan asked if they could help with the demolition and use the materials themselves. The maintenance company agreed and even hauled all of the materials to Trina & Dan’s home for them. Trina and Dan plan to rebuild the salvaged two-car garage on their own property further increasing their property value. Along with improving their property at low cost, another big reason why Trina and Dan like turning someone else’s trash into their own treasure is to reduce waste and help the environment. Helping the environment is also why the couple asked Main Street Solar to install a photovoltaic system at the couple’s home. For low maintenance clean energy that you can put almost anywhere, solar was a natural choice for Trina and Dan, who had been thinking about solar for 15 years. There was a catch, though. Located on almost 13 acres just outside of the small city of Galax (pop. 6,914) in the picturesque New River Valley of southwest Virginia, the couple’s house had a roof that wasn’t right for solar panels. But with so much land, there was plenty of space to install a solar system in the yard. “We have a perfect cleared area near the house that faces south. And we knew that solar wouldn’t block the view,” Trina says. So, in March of 2016, Trina and Dan hired Main Street Solar to install a ground-mounted system with a capacity of 7.25 kilowatts. That’s enough to cover the majority of the couple’s electricity needs — even when they’re running band saws and compressors in their newly built shop (built out of repurposed materials, of course). As retired people on a fixed income, Trina and Dan appreciate how solar has cut their electricity bill while also making their energy costs more predictable for the future. Before they got solar, the couple paid about $115 per month to their electric utility, Appalachian Power. After getting solar, they now pay just $10 a month — the minimum to stay connected to the grid. And getting started was affordable. After taking the 30% federal tax credit for new solar systems, the net cost of the couple’s solar system was about $15,000. Using a Home Equity Line of Credit (HELOC) to provide construction financing for the solar, the couple was able to roll the cost of the solar system into a refinance of their mortgage. 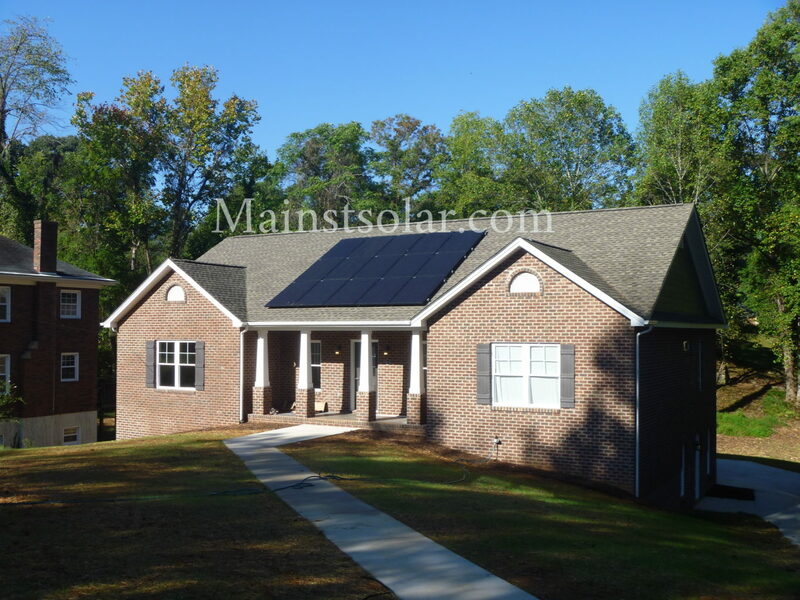 Not having to make a cash payment upfront made easier to go solar now, instead of waiting. Getting another $100 back over the course of the year from selling the solar renewable energy certificates (SRECs) earned by their system is a nice bonus that makes solar even more affordable for the couple. 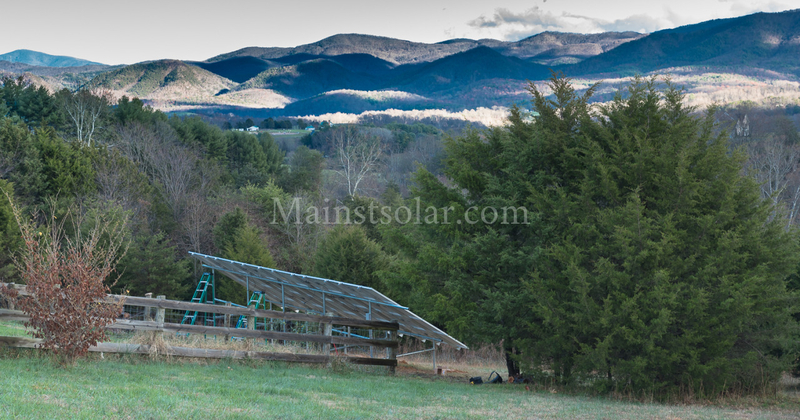 Sitting in the yard, Trina and Dan’s solar panels are easy to see from the road. That’s why they get a lot of attention from people who come by their house, whether it’s the UPS driver stopping by to drop off a package or a friend stopping by to chat. Trina says that solar is a good investment for people in rural areas. She also feels that their solar system is helping her and Dan make a positive difference in the world. 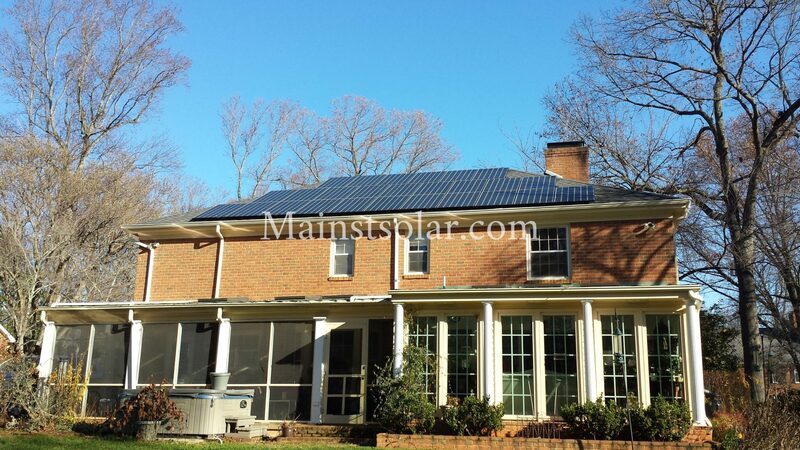 Trina thinks that now is a good time for anyone in a rural area of Virginia to consider going solar. 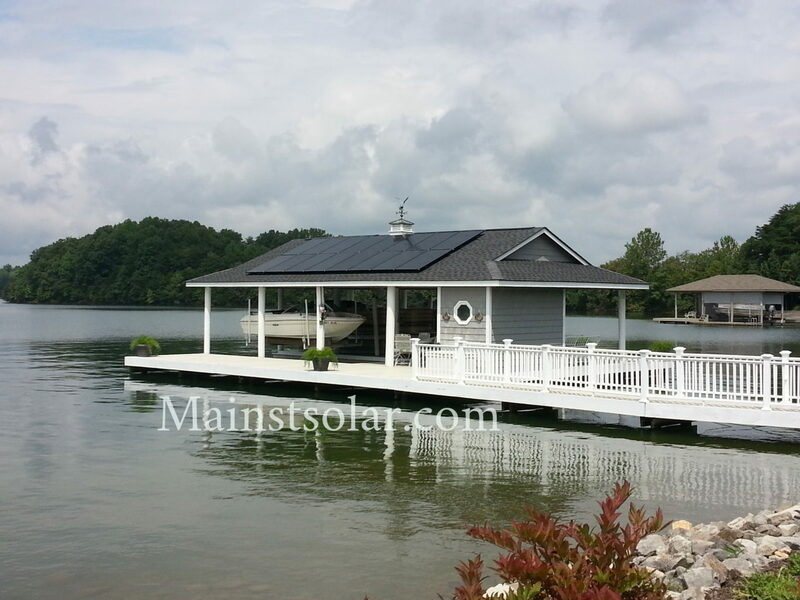 Trina and Dan talked to a couple other solar companies and got another quote for the work. That quote was $5,000 higher than the quote from Main Street Solar. 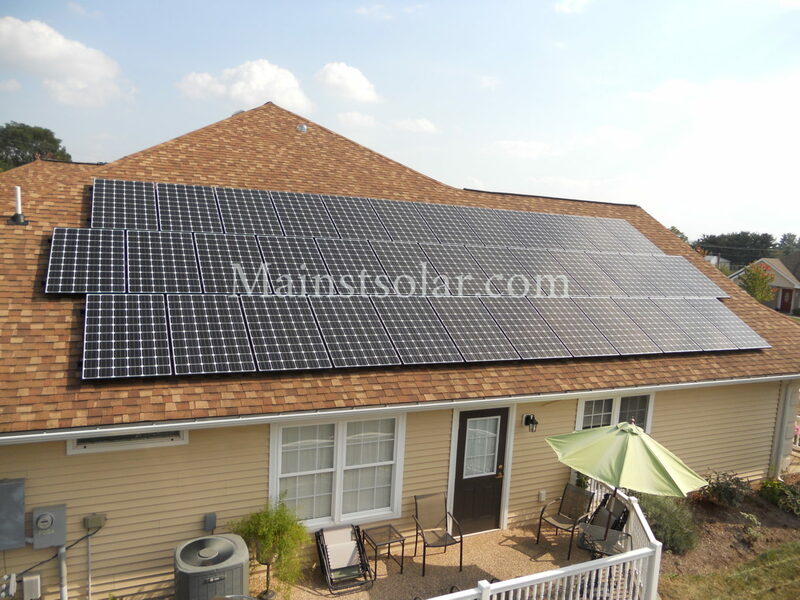 After nearly a year of having solar, Trina and Dan are delighted with their system so far. And over the last few months, Trina has discovered one unexpected benefit to having solar panels out in her yard: stress relief.